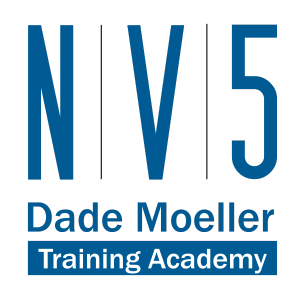 KALAMAZOO, MI (March 22, 2018) – We’d like to extend a thank you to our friends at the Dade Moeller Training Academy for highlighting our very own Sandy Konerth in their recent newsletter. 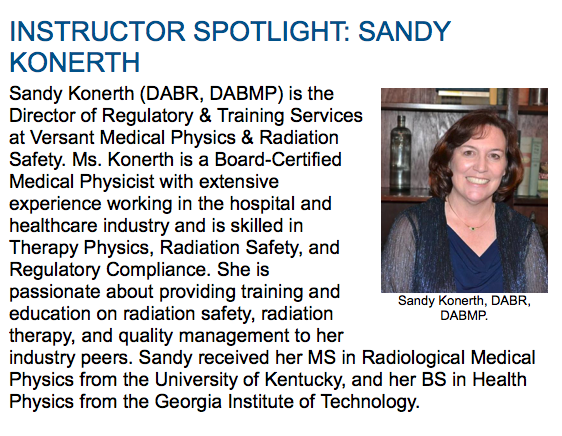 Sandy is the Director of Training & Regulatory Services here at Versant Medical Physics & Radiation Safety, and teaches the Medical Radiation Safety Officer (MRSO) course at the Dade Moeller Training Academy. Its faculty are recognized subject matter experts who are training professionals with expertise in radiation safety, occupational safety, industrial hygiene, risk communication, transportation, instrumentation, and emergency preparedness and response. When they are not teaching in the classroom, our faculty members are working on high-level projects with government and commercial clients. Please contact Sandy Konerth at sandy.konerth@versantphysics.com.